A major exhibition of work by female photographers examining women’s contribution to the medium opens at New York’s Museum of Modern Art today. The 200 photographs by around 120 women will be displayed in the museum’s capacious Edward Steichen Photography Galleries. 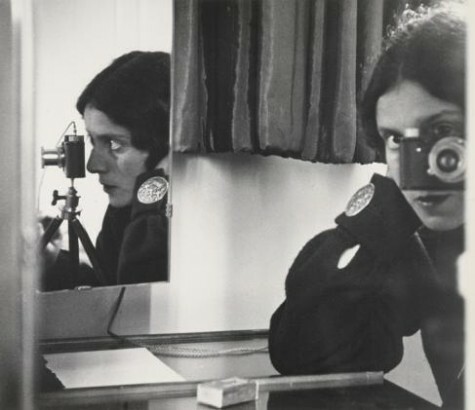 Included is this “Self-Portrait in Mirrors” (1931) by Ilse Bing.